We began ten revival last night for Pastor Rick Simpson and Summit Holiness Church. Praise God for the wonderful first night! I am so thrilled to be back under the tent. Thanks for all of those covering us in prayer. May God bless you for it. Happy Saturday, this is Odie checking in from Alabama. Last weekend was the Pentecostal Fire Youth Conference in Pigeon Forge, Tennessee. Did you see our recaps of this awesome event? On Saturday I posted a few pictures with my notes from the weekend and on Tuesday and Thursday we posted pictures galore. People gather from across the nation every year for PFYC. You all know I highly recommend the conference to everyone. It is truly amazing to experience PFYC. People plan and save for months to make their trip possible every year. Hard work really does goes into to a PFYC trip. There is one special group of people that I am extremely proud of for making the trip to PFYC 2018. They traveled all the way from Atwater, California, and that is the crew from Amazing Grace Holiness Tabernacle. Many people from their church worked long hard hours so that they could send their young people to PFYC. You might remember this picture of the Green Machine getting a bath last November. We were there when they had a car wash and a bake sale. It was the first fundraiser toward their goal of PFYC. They were all excited about to possibility of getting to attend PFYC. That fundraiser was just a few “drops in the bucket” or “crumbs” in the big picture. They were determined to make it work. I am so proud of them. This sweetheart did not get to make the trip. She worked so hard and she was the star of the car wash. Her enthusiasm was invigorating that day. 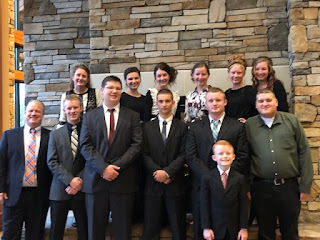 They ended up with 13 people from the church at PFYC. California was well represented. I am so proud of them for making the trek across the country. 11 of them traveled by plane and the van to reach Pigeon Forge. They had a few bumps in the road but I am glad everything worked out for them in the end. They all seem to have a great time. I know the girls received encouragement from God in the altars. Thursday night I was able to pray with them and it was blessing to me to see them be blessed. Their gang was even able to represent California Friday evening in the PFYC Mass Choir. The did an excellent job! Emily and J.C. Burris are students at Heritage Seminary in Savanah, Georgia. They met up with their church group at PFYC. Emily and J.C. are wonderful young people! I am proud of them. Pastor Jared and Sis. Valerie Burris are some of our dearest friends. We enjoyed getting to see them at PFYC! Thank you all for bringing your group! We love you! The beautiful girls from Amazing Grace Holiness Tabernacle at PFYC. Some of the guys of the gang. I was so glad to see my buddy, Clayton. Finally, I had to post a picture of me with the star of Amazing Grace Holiness Tabernacle, Mr. Grant C. Burris. It was great to be with my friends. One of the girls said their hard labor was definitely worth it. Their hard work and determination paid off for them. I was glad to see them at PFYC 2018! Thanks for stopping by to visit us. It always great to have you visit us. Have a great weekend. The Tent Goes Up In Alabama!